The orignial SpideRing. 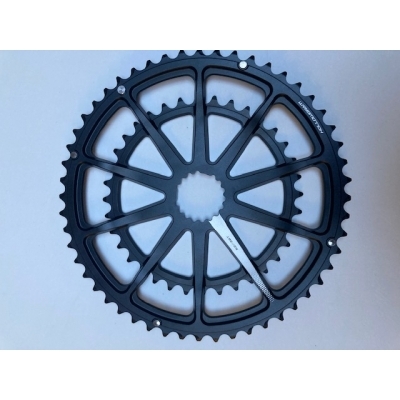 Featuring a 3D-forged, 10-arm design and obsessive weight-saving machining throughout, this spider/rings combo is the best shifting, ultralight chainring set on the market. 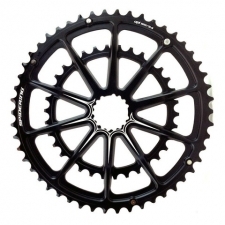 Available in 53/39, 52/36 and 50/34 chainring combinations. Weight: 160 grams (50/34). 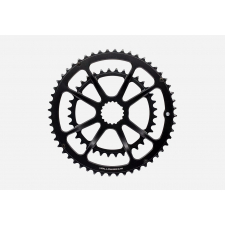 Buy your Cannondale OPI SpideRing SL 52T/36T Chainrings, CU4042SI52, 11Spd from CannondaleSpares.com.